The political and social unrest of the Arab Spring have diverted attention away from the long-term challenges facing the Middle East. A severe combination of rapid population growth, unemployment, and poverty is exacerbated by perhaps the most intractable of long-term issues, water scarcity. The strain on the global water supply is the result of a number of factors. First, most of the Earth’s water is simply unavailable for consumption, sanitation, or agricultural purposes because 97% of it is salt water. Of the remaining 3%, only 1% is available for direct human use. Moreover, in some areas of the world, the available freshwater supply is being depleted faster than it is being replenished. Saudi Arabia, for example, gets 70% of its water from 21 aquifers where water is being extracted faster than nature can restore the supply. In the case of Yemen, the state’s current water demand exceeds its renewable water resources by 900 million cubic meters per year. As the world’s population continues to grow, the demand for water will increase correspondingly. The high population growth rates, hovering around 2% in the region compared to the world average of 1.1%, and paucity of arable land in the Middle East will make water shortages in the region particularly acute. The United Nations predicts that by 2025, 30 countries will be water scarce, out of which 18 will be in the Middle East and North Africa. Poor water management exacerbates the problems caused by the diminishing supply and increasing demand for water. Inefficient irrigation techniques, poor crop selection, and unclear water sharing arrangements contribute to the mismanagement of available water. Indeed, as the U.S. intelligence community report points out, as the demand for the scarce resource increases in the developing Middle East, water could be a source of regional destabilization as well as a political tool or target for terrorist attacks. Some suggest that Israel went to war in 1967 over its water security. 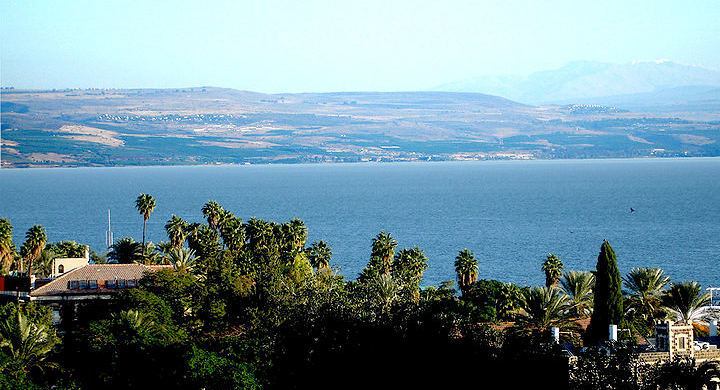 As a result of the war, Israel gained exclusive control of the mountain aquifer in the West Bank and the Sea of Galilee. In 1990, Syria and Iraq nearly joined forces and went to war with Turkey in response to the upstream riparian state stopping the flow of water to its downstream neighbors. Water scarcity issues, however, offer states the opportunity to collaborate and strengthen bilateral and multilateral ties, an opportunity downplayed by the intelligence estimate. Appropriate management of available water resources in the region will be crucial in avoiding negative externalities associated with decreasing water supplies. The transnational nature of major Arab water sources requires inter-state cooperation. The water flowing from the Tigris and Euphrates rivers is crucial for Turkey, Syria and Iraq. Syria obtains approximately 80% of its renewable water resources from the Euphrates while nearly all of Iraq’s renewable water resources come from those rivers. However, before reaching either country, Turkey’s ongoing Southeast Anatolia Project (GAP), a series of 22 dams and 19 hydropower plants, extracts water from both rivers to augment its arable land and agricultural output and provide electricity for the nation. Water that does make it downstream to Syria and Iraq is higher in salinity due to prior upstream usage. To date, water sharing between the three neighbors has been dealt with bilaterally and has caused tensions over the supply and quality of water in the Euphrates basin. Any sustainable solution will necessitate multilateral action that recognizes the importance of the water source to all three riparian nations. Cooperation between Jordan and Saudi Arabia is necessary to manage water withdrawals from the Disi (Saq) aquifer that straddles the Saudi-Jordanian border. There is little communication between the two states regarding the amount of water being drawn from the aquifer. Jordan’s Disi Water Conveyance Project will pump water from the shared aquifer to its capital, Amman. Proper management of the aquifer’s water supply requires the close cooperation of both Jordan and Saudi Arabia. Similar opportunities for cooperation exist for Jordan and Israel to address the declining Dead Sea water level. The resources of the mountain aquifer in the West Bank offer Israelis and Palestinians a chance to work jointly to moderate withdrawals from the aquifer. Water scarcity in the Middle East will undoubtedly persist and even worsen in the coming decades. Ineffectual management of shared water resources could lead to an escalation of tensions in the region. However, with proper resolve and foresight, wars waged over water can be avoided. Regional and international cooperation efforts can mitigate tensions caused by the increasing demand and dwindling supply of water in addition to securing water resources for future generations.